Individual requirements may be discussed on request. 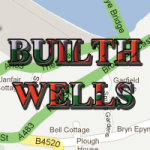 The whole purpose of creating and hosting this site is to provide a definitive guide to everything regarding Builth Wells. If you see something that you think is incorrect or missing please inform us by sending us an email to admin@builthwellsonline.co.uk or by leaving a comment on the Community Page. We don’t presume to know everything. This is your website and the only way it will succeed is by keeping it accurate and up to date, but only you can do this. In return we hope that this site will provide you with an accurate listing of what’s going on in your area and help you to easily locate local businesses and services. In addition to this we hope that we can provide a central base for tourists coming to the area by providing all the information they require, once again if you feel that we are missing something then email us at admin@builthwellsonline.co.uk or leave a comment on the comments page.